It’s a very simple activity that we do on a rainy sunday afternoon. Mommy wants to take a nap but Ollie wants to play, so I come with this simple games. Ask your child to match the colour of the clothespin to the colours on the origami paper (Colour recognition for your child). 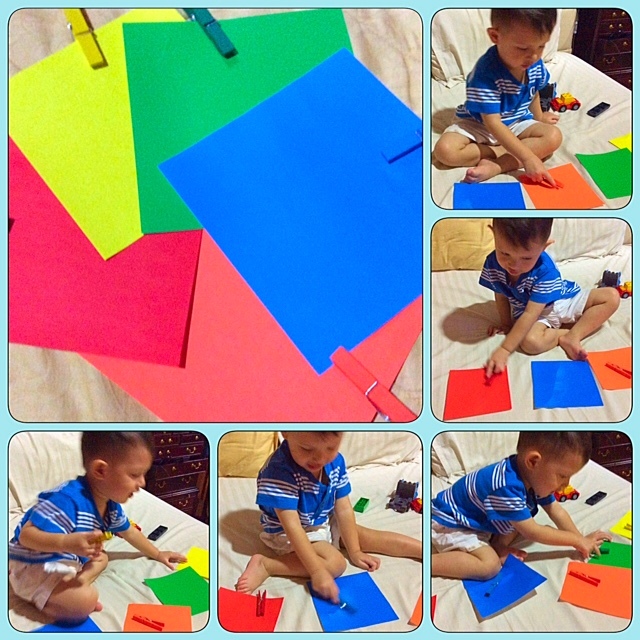 To strengthen their fine motor skill, have your toddler pin the clothespins next to the matching colours on the origami paper. They utilize the tine muscles in the thumb and pointer finger which helps prepare little hands for all sorts of task- not the least of which is writing! 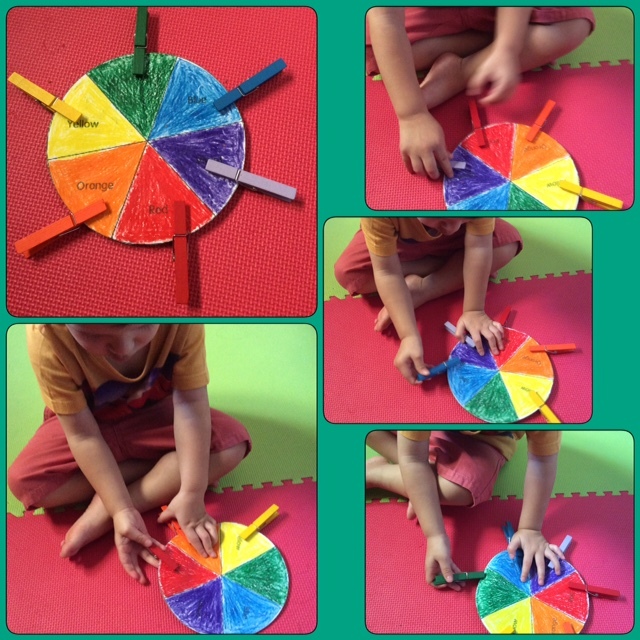 You can also do it with DIY color wheel.